Lynda.com is an educational based website and a leading online learning company that helps members learn on a business type level, such as technology, creative skills, software and more. Their mission is to provide the skills members need to achieve full potential. 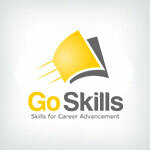 Lynda.com is a great site for those wanting to invest in learning business-type skills. The list of courses is seemingly endless which allows for a diverse population to explore content and tutorials based on their own level of skill and qualification. They also offer courses on all types of software from 10gen, Adobe, Canvas, Facebook, GoPro, XML and many, many more. The video streams clean and the audio is pretty good, as well. They offer most everything you can find online on their mobile apps making learning on the go easy. We also liked that only managers and authors are able to upload content as this helps to ensure the content as credible. Lynda is one of the leading companies in the industry for customer service. Also provide a blog and online community for customers to ask questions or troubleshoot other problems. Of course, they also provide consistent phone and email support as well. While Lynda does boast an impressive array of courses and subjects, there is no way for customers to really track their learning progress through any particular course. And though they feature a number of videos from over 600 instructors, it can be difficult to ascertain the quality of these instructors, since the standard to which Lynda holds its contributors is unclear. Also, courses are not interactive with Lynda, and non-subscribers will only have access to so many courses before they get locked out of the rest of Lynda's content and are required to pay for further access. Lynda was also recently acquired by social networking site LinkedIn for $1.5 billion, though there is some debate as to whether this acquisition has been or will be a profitable. LinkedIn has since seen its stock plummet, so only time will tell whether this investment ultimately ends up helping LinkedIn. For anyone who seeks to learn more about their field of expertise or just to stay on top of the game, this is an excellent site. With such an expansive allocation of content available in each of the business, creative and software fields it's fair to say that this site is definitely worth a look; however, be aware that Lynda is a pay-to-play service. They only offer a 10-day free trial of their services before customers are required to pay. Lynda.com is just alright for me. It doesn't track progress, so we had to write a module to do that. While they do have many great courses, I have found other sites that work better for the majority of my needs (I.T. - Computer forensics and security). Otherwise, absolutely love Lynda.com. I'm a suscriptor of Lynda.com. I think They have improved a lot. They add more courses every year. They are also Mobile friendly, their app's also have "Quizzes/Tests" available.